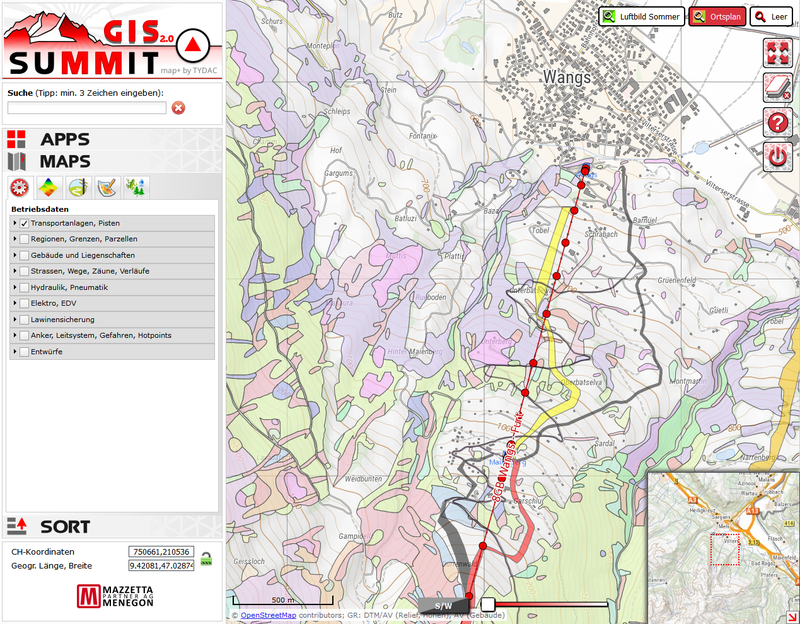 ... along with base data such as aerial images, digital terrain models, surveying and planning data etc. 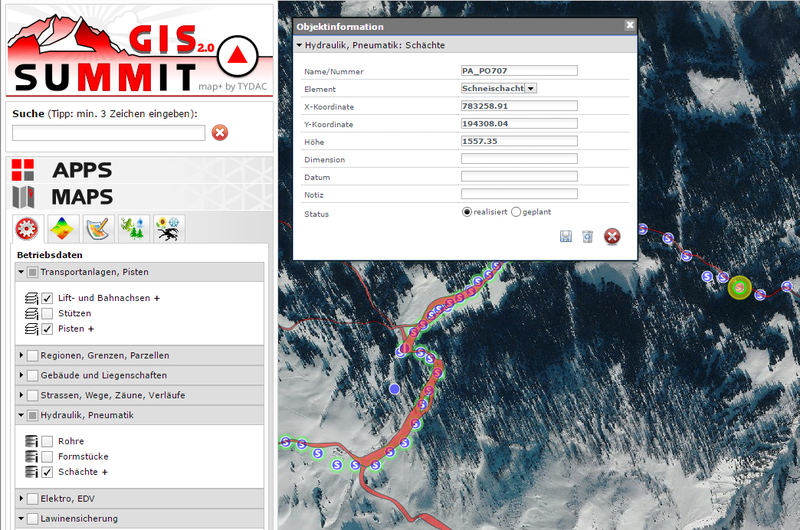 The application is based on MAP+, UMN MapServer, PostgreSQL/PostGIS, and GDAL/OGR (Import/Export). 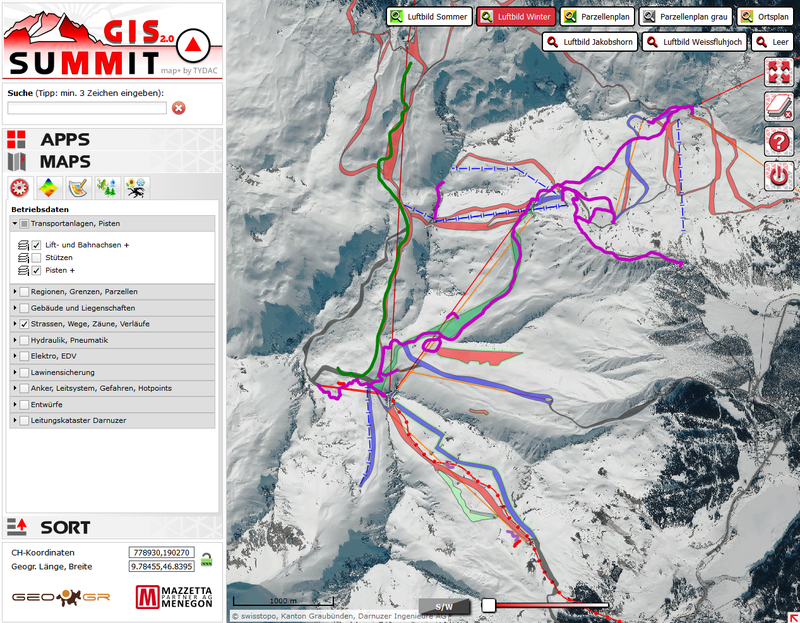 Summit GIS is already being used by top skiing areas such as Davos/Klosters, St. Moritz, Titlis, Gstaad, Flumserberg, Pizol.